I am a regular tweeter on twitter and that is how I came across Busy Bee Candles, I saw lots of tweets from people stating how good they were. The other thing I really liked about them is there practise of relationship marketing, they make sure they chat to their customers, everyone is special. 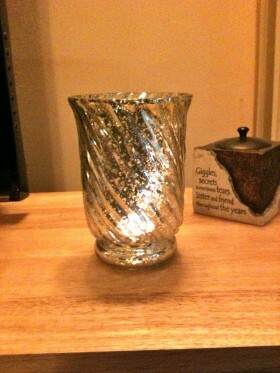 I placed my first small order, it all went through smoothly and a couple of days later my little tea-lights arrived. I am very happy with the products, they last as long as they said they would, the fragrance on both types are very pleasant and they do work out cheaper than any good makes I have bought in shops. I would say the only thing missing was packaging, if I was giving the tea lights as a gift I would have to invest in some small boxes, but I guess if they started giving fancy packaging we would then be faced with bigger prices, so lets do without the packaging. Stock up on the Christmas candles and have a fragrant Christmas, well done Busy bees.